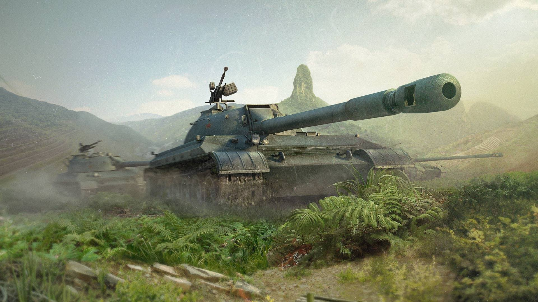 The Chinese offensive is gathering speed in Update 4.9! The branch of medium tanks is now accompanied by a branch of four Tier VII–X heavy tanks. Get to know them better and choose your new favorite tank! In Update 4.9, new camouflages will be added among other things. “It is never too much metal, especially when it weighs nothing,” we thought about this and introduced a bunch of rare camouflages. Changes to the 121, Grille 15, FV4202, and other vehicles. Chinese heavy tanks, the Fast Capture skill, and other updates. Edited by teysanook, 21 April 2018 - 05:23 AM. Is Tawanese people hate China or Chinese people? And why? Then can we say Taiwan and China are truely different?? Edited by teysanook, 21 April 2018 - 05:22 AM. Ignore him, he is salty because first he impersonated a mod which resulted in a warning, and then he went on creating some rage posts which resulted him getting a ban. Any news on whether support for mods (game modifications, not people) will be returned in this update? And also any news on JAPANESE HEAVIES??? Sorry to say this, but after all of those Frech and Chinese fuss, there was no reference from WG about the Japanese heavies coming to blitz. I want them too be added too though. Japanese heavies are big No, even on PC there has been quite a backlash since their introduction. They only have High Explosive ammunitions(AFAIK regular one does 740 alpha and premium one does 1400) and they have ridiculous amount of frontal armour enabling them to sit on a spot just derping HE, doing 500-700 dmg regardless of opfors angling, wiggling or even hull down. Just images that a 45% gold noob or not driving Type 5 firing only premium HE, it would't matter if you are 65% 3000 WN8 unicum hull down in IS-7 at 200 meter distance, you will eat 400-500 dmg a shot regardless, while still having to fire premmo in order to have a change to pen its armour. that does sound fair does it? This kind of tanks does not encourage player to develop any skills and there are enough skrubs trying to learn these days, i dont want them in command FCS. Its a big NO for me. Edited by ankitgusai19, 23 April 2018 - 06:56 AM. They did give a warning asking not to risk their account with mods, as automated, as always, tends to be buggy. Yeah, that's why I'm hoping that the latest update will revise the system so that simply installing voice and sound mods isn't a bloody gamble. I don't mind skins taking a while (since those can be both aesthetics and hitskins). When I try to log into the game, it keeps saying my client is out of date and keeps telling me to update the app. I have gone into the App Store and refreshed the updates section multiple times, but there is still no update for me to download. Is this happening to anyone else and is there a fix for it? Is there a problem with the update? It hasn’t popped in my App Store yet and the Asia server downtime finished over two hours ago. Admittedly I am on a European App Store account but isn’t released simultaneously? I am on the Asia app store and cant get the update in the app store either, get the same log in message update client, but no client in app store yet to update! There is a suggestion on the NA forum that it’s Apples fault for delaying the update. It’s out on Android and PC. Interestingly if I ran the WoT Blitz first in Dev Mode, the application launched update worked. Edited by Creighton_Abrams, 25 April 2018 - 12:18 PM. I have the game on three iOS devices and just updated all of them. Don’t see the point in uninstalling first. It’s faster to just update.